I learned this weekend that it’s best for me to not try to make Easter themed food. 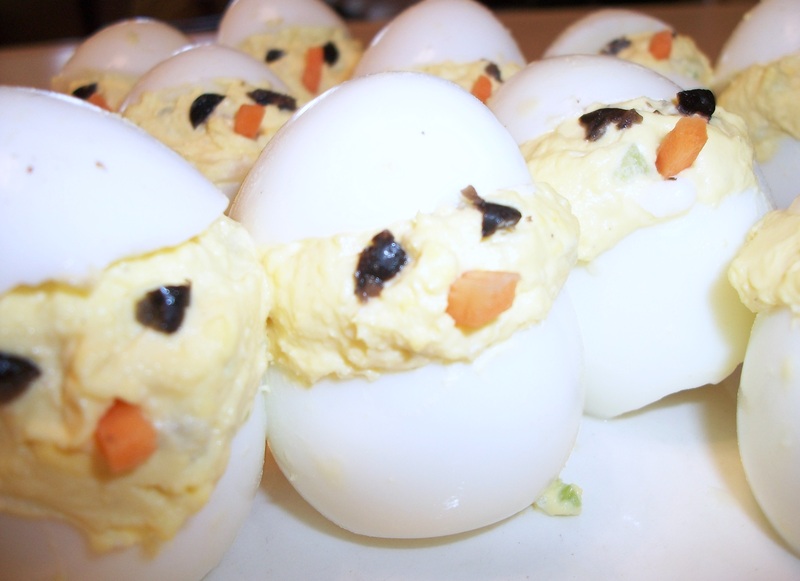 Last year, I made the creepy deviled egg chicks that the family was squeamish about eating — and understandably so. This year, not wishing to let that tradition of food gone terribly away die, I made a cake – the ugliest cake ever. My mom and grandma wanted me to try to replicate the buttercream icing from the birthday cakes that we used to get from the Catonsville Bakery. I mean, it was really no big thing that they were asking for since the last time I had that icing was when I was….oh….five. And, then I ate the smallest bit, scraped it off my cake, and gave it to an adult. I wasn’t a fan, but I would have been happy if I could have replicated the icing for them. I told my mom I wasn’t going to go all out on the decorating because it’s been about two and a half years since I decorated a cake. That one turned out ok for the most part though the monkeys could have used a little work. But, my mom told me that if the icing was the right kind everyone would want roses on their slice of cake, so they could have more icing. I wasn’t even good at making roses when I was practicing them, so I knew making them after such a long break from decorating would be a disaster. 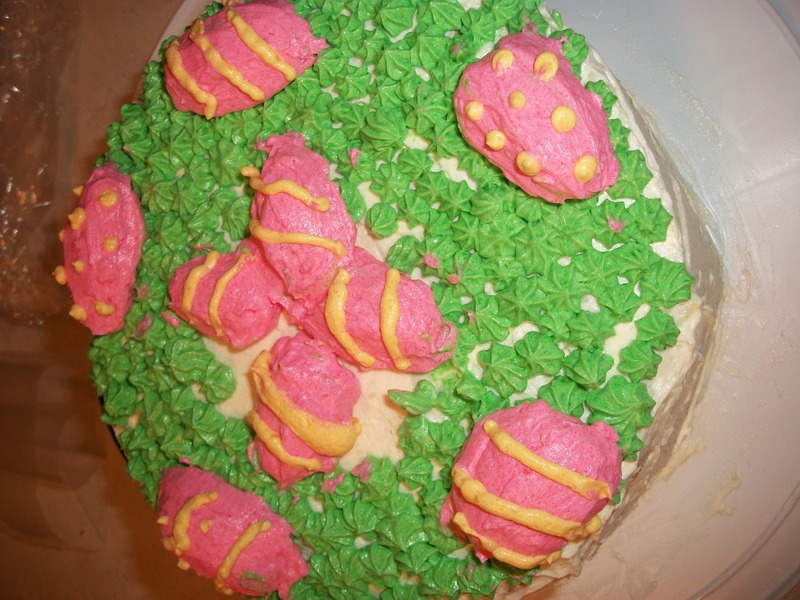 I figured that instead I could do Easter eggs on the cake. How hard could they be? Uh…they are very hard to make. And, yes, those are supposed to be Easter eggs. This cake shall go down in the family history as the little bunny doo doo cake for what should be fairly obvious reasons. Ah, well. Sometimes creativity is risky. If I’m going to attempt something next Easter, I’d better start a rigorous training program by the Fourth of July to prepare. 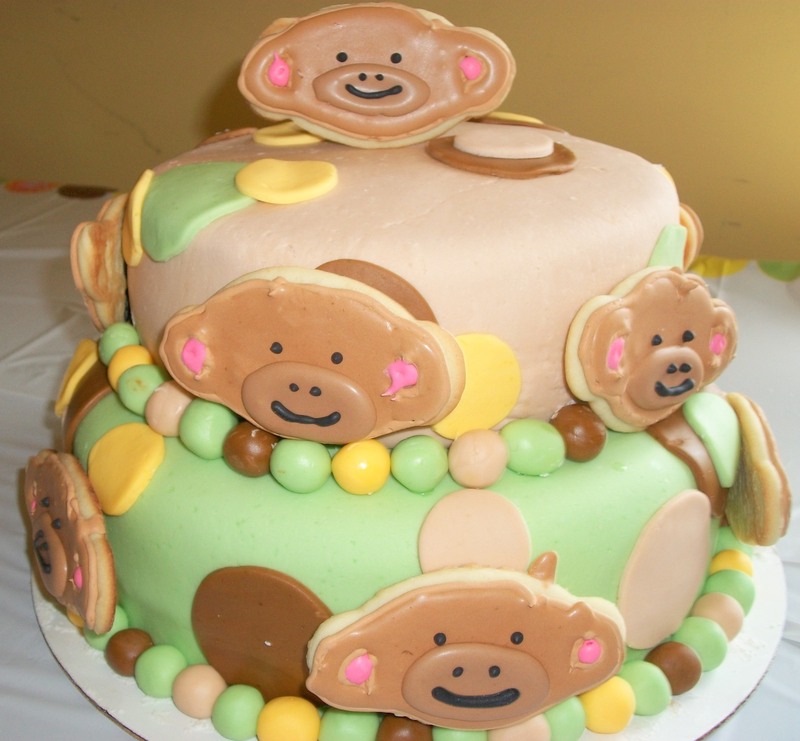 This entry was posted in a little bit of humor, cooking and tagged baking, cakes, humor. Bookmark the permalink.